Could you imagine that a single ice cube could make you look younger and boost your energy? In addition, ice cubes can even be used to balance certain disorders. However, ice cubes don’t have the same power in every part of the body. For optimal results, you have to locate the right pressure point. Look for the spot that is located right where your head and neck meet. In Chinese acupuncture, this point is known as Feng Fu. 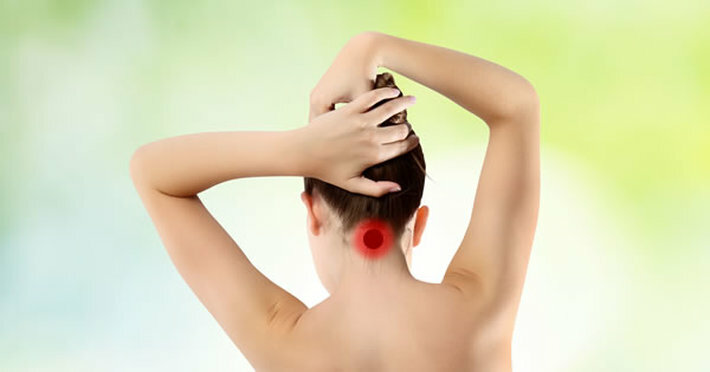 Lie flat on your belly and place an ice cube directly on the Feng Fu spot, or the hole at the back of your head. Sitting is also fine. Hold the ice cube on the spot for 20 minutes. You can secure it using a bandage, scarf, or anything else that works. Repeat the same treatment in the morning before you eat or drink anything, and in the evening before you go to bed. Don’t worry, you won’t catch a cold. Remember, you should always take a 2-day break between the treatments. “Amazing” would perfectly describe this treatment. At the beginning you may feel cold, but within 30-40 seconds you should feel the heat go straight to the Feng Fu point. Be careful about the euphoria you will experience in the first few days, due to the release of endorphins into your bloodstream. However, you should understand that this treatment doesn’t heal every condition. By treating the Feng Fu point, you help keep the physiological balance, rejuvenating and strengthening your body. Don’t apply the treatment if you are pregnant, have a pacemaker, epilepsy or schizophrenia. In Chinese medicine, the body is considered as an energy system, and acupuncture and massages affect the energy flow and the function of your organs. An Ice Cube Trick on an Acupressure Point to Feel Better! I tried it myself and I did feel an upgrade in my general state of well being although I was feeling pretty good before I did it. I've found quite a few testimonials on the web from people who had striking results. It seems a bit far out and too easy, but what the heck, it's in your refrigerator and it's free. Give it a try. Our main focus, obviously, is to bring the energy and the communications from higher dimensions into this realm . But secondarily and an also important thing is to bring the awareness of what's happening in this realm into your consciousness. When we've gotten to the point (which we have) where you can't believe the news, you can't believe your doctor, I will endeavor to send out these INFORMATIONAL emails and let you know some of the things that I believe are accurate. Keep in mind, I could be wrong so, if it's something important for you, do your own research, particularly on health tips. These emails will have INFORMATIONAL in the subject line. If you would rather not receive these INFORMATIONAL emails, PLEASE register up for Low Flow. Occasionally, we'll have something for sale. These items help support all we do at no charge. Plus, thus far, I have chosen items which you probably have not seen elsewhere which we can offer at extremely low prices. If you would rather never have an offer to purchase something, sign up for Nothing for Sale.